Every small business should conduct a risk management assessment prior to reassessing their business insurance needs – preferably before they even open their doors. Basically, this means imagining the “What ifs” and thinking about worst-case scenarios. Think about any event that could lead to a loss for your business, estimate the cost of that loss, and determine how to best address each risk. These losses may include material losses, liability, business interruption, or injury to employees. 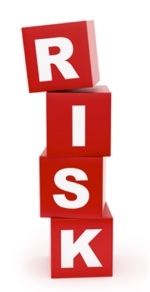 There are several factors that will determine the list of risks to your business. The risks to a company that produces large machinery will be very different from a service business. A caterer who rarely if ever has customers coming to their location will have very similar and – at the same time - very different risks and insurance needs than a restaurant that has customers coming and going all the time. Each business is unique. Some business risks can be minimized or eliminated with specific actions; many risks are best managed by purchasing commercial insurance. 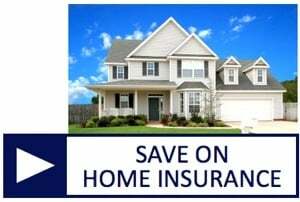 For example, if you’re concerned about damage to your property, you could lease the property instead of purchasing it - or you could purchase insurance. If you’re concerned about theft, you could install an alarm system to minimize loss, but you would probably want to purchase insurance as well (the alarm system may afford you a discount). 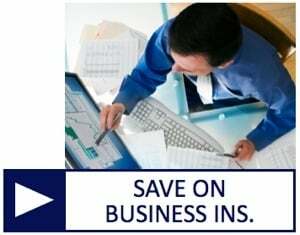 Business insurance can reduce, mitigate or compensate for exposure to business risks. An insurance agency will do a risk assessment to determine how much insurance you need and what you need to cover, and they’ll do it at no cost. This assessment might include visiting your business, talking to you about the business or service you provide, reviewing your inventory, and reviewing any procedures to determine all the risks your business could be exposed to. By conducting your own assessment, you can combine your knowledge of your business with your insurance agent’s knowledge of insurance to create the best insurance policy to protect your business. Growth is Good, But ..
As your business grows, so do your liabilities! If you purchase or replace equipment or expanded operations, you should contact your insurance broker to discuss changes in your business and how they can affect your need for expanded insurance coverage. Should disaster strike, you don't want to be caught underinsured. For more help creating a risk management assessment and aligning your business insurance needs with your risk, contact American Insuring Group at (800) 947-1270 or (610) 775-3848. Should You Add Drone Insurance to Your Business Insurance Policy? It’s a bird. It’s a plane. No, it’s a drone! Businesses are discovering many uses for drones – also known as unmanned aircraft systems (UAS). In fact, total spending for military and commercial drones is expected to reach $89.1 billion over the next ten years. This translates into approximately 30,000 small commercial drones in use by 2020, according to the Federal Aviation Administration (FAA). Drones are already being used by real estate brokers to get images of properties from the air, by farmers to monitor crops, by insurance claims adjusters to view damaged property, by the Forest Services to monitor fires, and by movie companies in film production. Almost any job that currently requires an aircraft is a good candidate for a drone, since drones are considerably less expensive to operate. Major online retailers are already planning on using drones to deliver packages. Plus, drones can provide safer options and prevent worker injuries in many cases. For example, if you own a construction company and you need the top beams of a building inspected, would you rather send a man several hundred feet off the ground or a drone? The bottom line is that if you are operating drones for business purposes then it's critically important to add drone insurance to your business insurance policy. Service: table service at restaurants and bars! This proliferation of drones increases the need to address commercial insurance liability and coverage issues, most notably - personal injury and invasion of privacy. Drones are excluded in about 99 percent of Commercial General Liability policies available today. Legal issues include “trespassing” drones; airspace ownership laws; and the question of federal aviation laws vs. state laws. In addition, many drones have high-powered cameras, infrared sensors, facial recognition technology, and license plate readers, which also brings up concerns regarding invasion of privacy, spying, stalking, and harassment. In February 2012, congress mandated that the Federal Aviation Administration (FAA) find a way to integrate drones into U.S. airspace by September 2015. With that deadline looming, the FAA is nowhere close to finalizing its plans. This lack of regulation and the fact that there is very little loss history available at this point makes it challenging for insurance companies to develop policies. 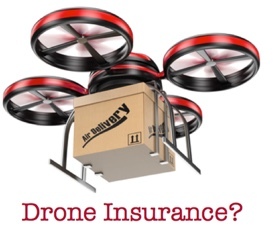 It's therefore likely that drone insurance rates may vary widely among insurance providers. 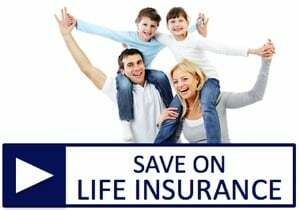 Therefore, it's helpful to acquire drone insurance protection from an indepdent insurance agency who is free to shop around among competing brands of insurance providers in order to help you obtain the proper coverage at a fair price. Since drones are regulated by the FAA, many of the same questions that an underwriter looks at with an aircraft will also apply to a drone, such as its function or intent, its takeoff and landing location, whether it will be operating over a populated area, and its flying altitude. However, a drone is not a manned aircraft. Underwriters will need to look at liability, personal injury, and invasion of privacy, property and workers’ compensation when creating insurance policies for commercial drones. Currently there are about 21 insurance companies that write aircraft product liability policies – up from just nine a few years ago. Someday requesting insurance for drones and drone-related operations will become routine, but for now we’re faced with the challenge of keeping up with the issues that come along with quickly advancing technology. For more information about drone insurance and other commercial insurance needs, contact American Insuring Group at (800)947-1270 or (610)775-3848. 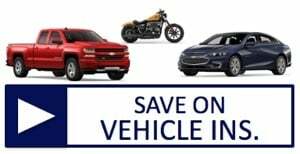 As an independent insurance agency, we're postitioned to help you save on insurance by shopping your needs among many competing insurance providers. Call today. More than 50 million Americans – 18% of the population – have disabilities, making them the largest minority group in the country. In addition, approximately 71.5 million baby boomers will be over the age of 65 by the year 2030; many will require special provisions to meet their age-specific physical needs. 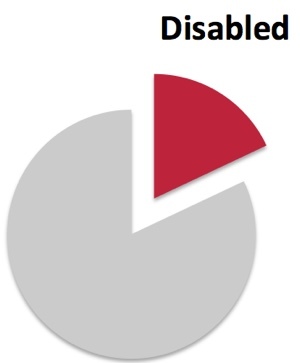 There are many reasons for your business to provide accessibility to disabled individuals. First, it’s the right thing to do. Second, each of these individuals is a potential customer and studies have shown that once people with disabilities find a business where they can comfortably and easily shop or get services in, they become repeat customers. And finally, the Americans with Disabilities Act allows individuals and disability rights organizations to bring lawsuits against businesses that do not comply with the Act, knowingly or unknowingly. 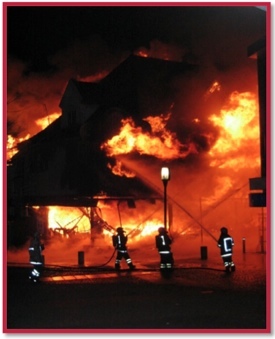 In such cases having the right commercial insurance can be critical to your financial protection. The ADA, signed into law in 1990, is a federal civil rights law that prohibits the exclusion of people with disabilities from everyday activities such as shopping, eating in a restaurant, or seeing a movie. Thanks - in great part - to the ADA, people with disabilities are living more independent lives and participating in more activities within their communities. Unfortunately, the ADA laws can be very confusing and often frustrating to small business owners, and although there are some exceptions given to smaller businesses regarding the ADA rules against disability discrimination in employment and the requirement that employers provide reasonable accommodations to disabled employees, the adoption of Title III of the ADA in 2010 applies to every business that serves the public - regardless of the size of the business or the age of the building. How confident are you that your business is in full compliance? Do you have the proper commercial liability insurance protection to help shield you from unknown risks? Title III applies to businesses that provide goods or services to the public (known as “public accommodations”). There are 12 categories of public accommodations, including stores, restaurants, bars, services establishments, theaters, hotels, recreational facilities, private museums and schools, doctors’ offices, shopping malls, and other businesses. Essentially, any business that regularly serves the public (with the exception of private clubs and religious organizations) is considered a public accommodation. How Can I Protect My Business from ADA Title III Lawsuits? Have your property inspected by an ADA compliance expert. Read through the 2010 ADA Standards for Accessible Design. Read through the ADA Small Business Primer. Know the difference between ADA requirements and state and local building codes. “Grandfather” provisions that are often found in local building codes do not exempt businesses from ADA Title III compliance. Don’t ignore letters from plaintiff’s attorneys threatening ADA lawsuits. 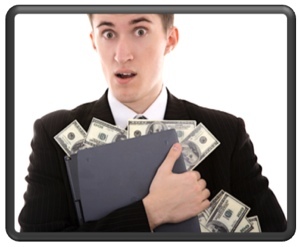 Sometimes claims can be resolved with little cost if addressed prior to extensive litigation. Provide training to your employees and staff on how to address questions or concerns about disability access from customers. For more information about commercial liability insurance, contact American Insuring Group at (800)947-1270 or (610)775-3848. We'll help you get the right business insurance protection at the right price using our pool of competing insurance providers. Contact us today. 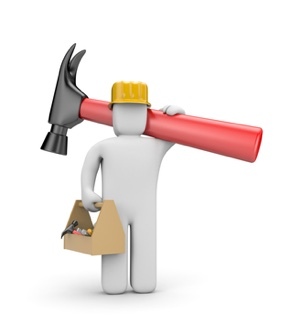 Every employer is responsible for insuring a safe working environment for his or her employees. If you’re in construction, workplace safety should move to the top of your priorities because more than 20% of the work-related fatalities in 2013 occurred in the construction industry. Scaffolding – Approximately 2.3 million construction workers regularly use scaffolds, and it is estimated that 4,500 injuries and 50 fatalities related to the use of scaffolding occur each year. To help avoid some of these injuries and fatalities, you need to ensure that scaffolding is erected by a competent person using stable supports on solid footing and that it is inspected regularly. Scaffolding should be sound; located at least 10 feet from electric power lines; equipped with guardrails, midrails, and toeboards; and accessible by ladders or stairways. Fall protection – Falls account for the greatest number of fatalities in the construction industry. They’re caused by unstable work surfaces, failure to use fall protection equipment, and human errors. Using guardrails, fall arrest systems, safety nets, covers and restraint systems, you can prevent many deaths and injuries caused by falls. Ladders – there are approximately 24,882 injuries and 36 fatalities each year due to falls on stairways and ladders used in construction. To avoid some of those falls, you need to use the right ladder for each task, inspect ladders regularly, ensure that ladders are long enough to safely reach the work area, and never over-load ladders. Head protection – You need to ensure that workers wear hard hats where needed to reduce serious head injuries that can result from blows to the head, from falling objects, or other hazards. Hazard communication – In order to avoid chemical burns, respiratory problems, fires and explosions caused by not recognizing the hazards associated with chemicals, you should maintain a Material Safety Data Sheet (MSDS) and make the information accessible to employees. Plus, you need train employees on how to read those MSDS and provide personal protective equipment, a written spill control plan, and spill clean-up kits. Electrical – Electric shock, electrocution, fires, and explosions can be serious workplace hazards in the construction industry. To avoid these hazards in your workplace, ensure that all electrical tools are properly grounded and extension cords have grounding prongs, locate and identify all overhead electrical power lines and inspect and ensure that equipment and materials never come within ten feet of those lines, and maintain all electrical tools and equipment. Ensuring the safety of your employees is important to the health and safety of your employees and the health and safety of your business. Neglecting the safety of your employees can cause lawsuits, higher health insurance premiums, higher construction insurance premiums, and higher workers compensation premiums and related costs. To learn more about reducing your construction insurance costs while acquiring quality insurance protection, contact an American Insuring Group agent at (800) 947-1270 or (610) 775-3848. We're Independent Insurance Agents, so we're free to shop among many competing insurance carriers to find the right insurance at the best price, including construction insurance, worker's compensation insurance, and every other type of insurance your business may need. Contact us today. Drunk Patrons & Restaurant Insurance: Are You Protected? Will Your Restaurant be Held Liable for Accidents? How Much Can Restaurant Insurance Help? Let’s say you own a restaurant. One night, a group of friends enjoy dinner and a few drinks at your restaurant. They decide to go to a club where they dance and consume more alcohol. Then, they go to a corner pub to wind down with a few more drinks. On the way home, one of those friends causes an accident that injures or – God forbid – kills someone in the process. Who is responsible? You and your restaurant? The club? The pub? That depends on which state your restaurant is located. If it’s in Nevada, none of the establishments will be held responsible for injuries caused by intoxicated patrons; all of the responsibility lies with the person directly causing the injury. However, many other states place the responsibility elsewhere. In Pennsylvania, all of the establishments could be held responsible – even your restaurant. Under Pennsylvania’s Dram Shop Statute, a licensed drinking establishment can be held liable for injuries caused by intoxication if the establishment served alcohol to a visibly intoxicated individual or to a minor. Not only could you face administrative and criminal fines and penalties, but you could also be sued in civil court for damages that person might cause after leaving your establishment. You could lose your liquor license. If you serve alcohol to a minor, the establishment's owner, operator, or the server could face a term of imprisonment of three months to one year, a fine of up to $5,000, or both. Determining whether a server should have realized the extent of a patron's intoxication is fuzzy. How the alcohol affects a person is what matters, not how many drinks were consumed. When is a Driver Considered Legally Drunk in Pennsylvania? School bus drivers are legally drunk when their blood alcohol level is .02 or more. If your establishment serves alcohol, all of your servers and managers should undergo some type of training in alcohol service, such as the National Hospitality Institute’s Techniques of Alcohol Management or Pennsylvania’s Responsible Alcohol Management Training Program (RAMP). But, what if that person was not intoxicated when he or she left your restaurant and is of a legal drinking age? You could still be held responsible. If an incident does occur, your best defense is a written policy and documentation that you adhere to that policy. Review the policy with your employees regularly. Liquor liability insurance can be an invaluable form of restaurant insurance protection. It can help protect your restaurant business from highly damaging lawsuits into the millions of dollars resulting from property damage and injury caused by intoxicated customers who purchased alchohol in your establishment. These policies may differ significantly by insurance provider in terms of costs and coverage details. This is why you should consult the independent insurance professionals at American Insuring Group. 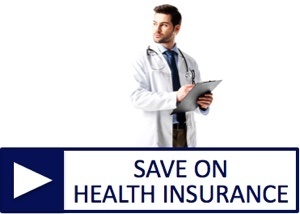 We offer policies from competing insurance companies. We'll help you find the right restaurant insurance policy at the right price. Contact an American insuring Group agent at (800) 947-1270 or (610) 775-3848 to find more ways to protect your business with the right restaurant insurance. According to a recent U.S. Bureau of Labor report, Workers’ Compensation accounts for 2.8 percent of the total cost of a production, transportation, or material moving employee’s compensation and 3 percent for construction and maintenance employee’s compensation. Businesses interested in reducing those percentages do what they can to improve workplace safety; thereby, reducing the number of workers’ compensation claims and providing a safer and healthier environment for employees. It’s a win-win situation. One of the first steps to creating a safer workplace is to identify potential hazards; if you don’t know a hazard exists, how can it be properly mitigated? The Occupational Safety and Health Administration (OSHA) has created an interactive, online, game-based training tool to help small businesses effectively identify hazards within the workplace. This tool, with both an owner and worker mode, is designed to help both company leaders and workers to not only identify hazards, but also learn how to abate and control those hazards. The "OSHA Visual Inspection Training" scenario, which contains a saw, industrial chemical mixer, scaffolding and fall protection for inspection, shows users how to identify hazards on items found in the workplace; become familiar with typical hazard categories; and understand common relationships of hazards to equipment components and operations. It offers the user an opportunity to practice a visual inspection and find hazards. In this scenario, the user can view equipment from 360° to look for hazards. The user can also talk to the employee and observe the employee at work to identify additional hazards. The Manufacturing and Construction scenarios, which focus on the principal skills needed to effectively identify hazards in the workplace and reinforce the key components in the hazard identification process, allow participants to experience the entire workplace. The manufacturing scenario allows the user to be a part of the safety committee in a hovercraft parts manufacturing facility. 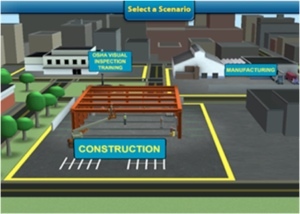 In the construction scenario, the user must identify and mitigate hazards to maintain a safe workplace throughout three phases of a construction project. Collect information: Review all information (manuals, safety data sheets, OSHA data, etc.) you may already have available to find hazards that have already been identified by others. Inspect workplace: The most basic (yet important) component of inspection is the simple visual inspection. Inspecting the equipment and the surrounding work areas allows the user to look over the equipment without any obstructions that might exist while the equipment is being operated. Certain hazards might only be recognizable when the machine is not in operation. Involve employees: A great way to gain insight into workplace hazards is to talk to the equipment operators. Often, they are aware of issues that may not be apparent during an inspection. Talk to the workers and listen to their feedback. To find out more about this new tool, check out https://www.osha.gov/hazfinder/. Let American Insuring Group help you control your workers’ compensation premiums. We're an independent agency representing multiple competing brands of workers' comp insurance, so we can help you find quality insurance at a great price! Contact us at (800) 947-1270 or (610) 775-3848. Serving Philadelphia, Reading, Lancaster, Allentown, Harrisburg, Pittsburgh, Erie and beyond. Workers' Compensation Insurance is a type of small business insurance that is mandatory in most states, and covers employees for work-related injuries. A typical "workers comp" insurance policy pays lost wages and medical expenses incurred due to a work-related accident or injury, while also protecting the employer against accident-related lawsuits. What About Dishonest Worker's Comp Claims? Unfortunately, there are dishonest people in this world, and there are times when a Workers’ Compensation claim should be denied, such as when the employee isn’t hurt on the job or it’s an old injury. As many states begin taking a closer look at denials of workers’ compensation claims, now is a good time to evaluate how your company is handling workers’ compensation claims. Keep detailed written documentation about the incident. Understand the claim forms, timelines, and the correct state agency to send the paperwork to. Ensure that all information on those forms is accurate. List a specific legal reason explaining why the claim is being denied and the basis for that denial. Provide instructions to the employee about steps he or she can take if they disagree with the denial. Don’t disclose Protected Health Information (PHI) without written permission to do so or if required by law. Don’t ignore the mistake. Correct it. Provide complete and detailed responses. Continue to keep detailed written documentation. Pay close attention to timelines. If you aren’t sure about something, consult an attorney. No business wants to pay penalties for Workers’ Compensation claim denials, so following these best practices can help your business avoid or minimize those penalties. American Insuring Group, Ltd. offers cost-effective worker's compensation insurance from a great variety of competing insurance companies, enabling you to get a great deal on high-quality WC insurance. For more information about Workers’ Compensation insurance, claims, or denials, contact American Insuring Group at (800)947-1270 or (610) 775-3848. On March 25, 1911, the US witnessed one of the deadliest industrial disasters in American history – the Triangle Shirtwaist Factory Fire in New York City. The fire resulted in the deaths of 146 garment workers – 123 women and 23 men – who were working on the eighth, ninth, and tenth floors. Some died from the fire, but many were killed by smoke inhalation or falling or jumping to their deaths. This horrible tragedy led to legislation that improved worker safety standards, including better building access and egress, fireproofing, fire extinguishers, alarm systems, and automatic sprinklers. More than one hundred years later, the lessons learned from this tragedy still apply. Here are some reminders on how to avoid workplace fires and injuries, thereby reducing the long-term cost of your commercial and workers comp insurance by minimizing both the number and severity of your insurance claims. Give them a way out. If the doors to the stairwells and freight elevators in the Triangle Factory weren’t locked to prevent theft, many of the 146 workers who perished would have survived. Enforce smoking bans. Although smoking was banned on the Triangle Factory floor, it was common knowledge that workers often snuck cigarettes in. The suspected cause of the Triangle fire was a discarded match or cigarette. Quickly get rid of scrap material. Two months’ worth of highly flammable fabric cuttings (hundreds of pounds) were in the scrap bins in the Triangle Factory. Keep them separated. Fabric hanging close to the scrap bins helped the fire spread more quickly. Make it easy to spread the word. There were no working telephones on the ninth floor of the Triangle Factory, so workers there didn’t know about the fire until it had reached their floor. Working, audible fire alarms and emergency communication systems could have made all the difference. Regularly inspect your fire escapes. Twenty people died when the flimsy fire escape at the Triangle Factory collapsed. Contact an American Insuring Group agent at (800) 947-1270 or (610) 775-3848 to ensure that you have the proper workers compensation insurance and commercial insurance to protect both your employees and your business. 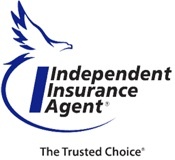 As independent agents we offer insurance solutions from over 25 competing insurance companies to give you the best options at the best price. Serving Philadelphia, Reading, Lancaster, Allentown, York, PA and far beyond. Call today. Electrical hazards cause more than 200 electrocutions (death by electric shock) and 4,000 workplace injuries each year, costing businesses millions of dollars in Workers’ Comp claims, fines, medical costs, litigation, lost business and equipment cost. “While electrical hazards are not the leading cause of on-the-job injuries, accidents, and fatalities, they are disproportionately fatal and costly,” according to the Electrical Safety Foundation International (ESFI). The good news is that most electrically-related injuries and the resulting workers’ compensation and fire-related rebuilding costs can be avoided with a comprehensive electrical safety program. That's good news for electrical contractors and other businesses whose employees perform electrical maintenance and installation services. Avoid using electrical equipment in unsuitable conditions, such as a wet or dusty workplace. Ensure electrical panel doors are freely accessible and unblocked by furniture or clutter. Tuck cables and cords away so they don’t create tripping or slipping hazards. Place electric cords where there is air circulating to prevent overheating. Keep electrical cords away from heat sources, such as radiators and space heaters. Ensure that the electrical load of equipment such as computers, printers, scanners, faxes, shredders, and telephones is spread over several circuits. If you are using extension cords as a permanent source of power, consider having additional circuits installed. Plug office electronics into a surge protector. Ensure grounded (3-prong) appliances and equipment are plugged into grounded outlets. Avoid spilling beverages on electronics, and if it happens, be careful, as electrically powered devices may become live to the touch if they become wet. Pull on the plug, not the cord, when unplugging equipment. Get rid of old, unsafe or poorly maintained equipment, such as old coffee makers, radios, lamps, and space heaters. What does electrical safety mean to you? The How Do You Know? video modules demonstrate how safe electrical practices are vital to everyone in your business. Are you confident that your company's electrical safety program is up-to-date and comprehensive? 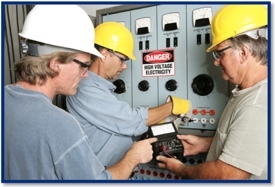 Evaluate your program with ESFI's Electrical Safety Self Assessment. It's an easy to use tool that will help you review and analyze your company's electrical safety practices related to facilities, personnel, and procedures. Once you identify areas that need to be addressed, what's the next step? ESFI has compiled a library of safety resources and links to help you find the information you need. Worker's Compensation Insurance - Do You Have the Right Coverage? Following these suggestions will help ensure the safety of your employees, reduce workers comp claims, and avoid fire-related business costs. However, even the best laid plans sometimes fail. When that happens you need to have the right insurance to protect your business from those unforeseen incidents. Contact American Insuring Group at (800) 947-1270 or (610) 775-3848 for help in obtaining the right worker's comp insurance to properly cover your business from loss. We can help you with all your business-related insurance needs. Working in the food service industry often means hard work and long hours. You also face many unique challenges, including the responsibility of ensuring that the food you serve to your customers is safe. As any restaurant owner knows, a foodborne-illness can cause the loss of thousands of dollars and, in some cases, your entire business. 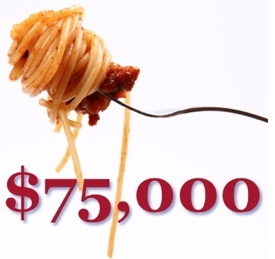 The National Restaurant Association estimates the average cost of a foodborne illness outbreak at more than $75,000. This doesn’t even take into account the human cost. Does your restuarant have the proper insurance to handle such an occurence? Millions of people become sick each year and thousands die after eating contaminated or mishandled foods. The Centers for Disease Control and Prevention (CDC) estimated in 2011 that contaminated food caused 47.8 million illnesses a year in the United States (that includes food eaten at home and other places besides restaurants). Improper cooling of foods — the leading cause of foodborne illness outbreaks. Advance preparation of food (with a 12-hour or more delay before service). Infected employees who practice poor personal hygiene. Failure to reheat cooked foods to temperatures that kill bacteria. Adding raw, contaminated ingredients to food that receives no further cooking. Cross contamination of cooked food by raw food. Failure to heat or cook food thoroughly. Thoroughly wash all produce, since it is often served uncooked. Maintain a temperature at or below 40°F in your refrigerators to minimize bacterial growth. In order to kill any bacteria present, cook foods to the minimum recommended internal temperature and sustain that temperature for at least 15 seconds. Clean and sanitize all food contact surfaces, such as countertops, cutting boards, utensils, pots, and pans. If, in spite of all your efforts to keep your food safe, your restaurant does experience an outbreak of a foodborne illness, there’s only one thing that can save you – the right insurance. One option you may want to consider adding to your basic policy is business interruption insurance to help your business stay afloat if you’re forced to shut down for any length of time. Another good option is food contamination coverage, which covers your restaurant from financial loss and helps rebuild your restaurant’s reputation. You’ve worked hard to establish your restaurant business. Don't leave things to chance. Be sure you can survive any potential issues with a comprehensive restaurant insurance policy tailored specifically to your business. The agents at American Insuring Group understand your unique challenges. Contact us at (800) 947-1270 or (610) 775-3848.